A first look at the banner for MGM and Sony’s Screen Gems Carrie remake has been revealed at this year’s Comic-Con International in San Diego. Chloe Moretz and Julianne Moore star in the new version of the supernatural thriller based on Stephen King’s best-selling novel. The website STYD spotted the movie banner which features the Twitter hashtag #WhatHappenedToCarrie. The story centers on Carrie White (Moretz), a misunderstood high-school student with no confidence, no friends…and no idea about the extent of her secret powers of telekinesis. But when her fanatically religious mother and bully classmates finally go too far, the once-shy teen becomes an unrestrained, vengeance-seeking powerhouse who, with the help of her special abilities, causes all hell to break loose. 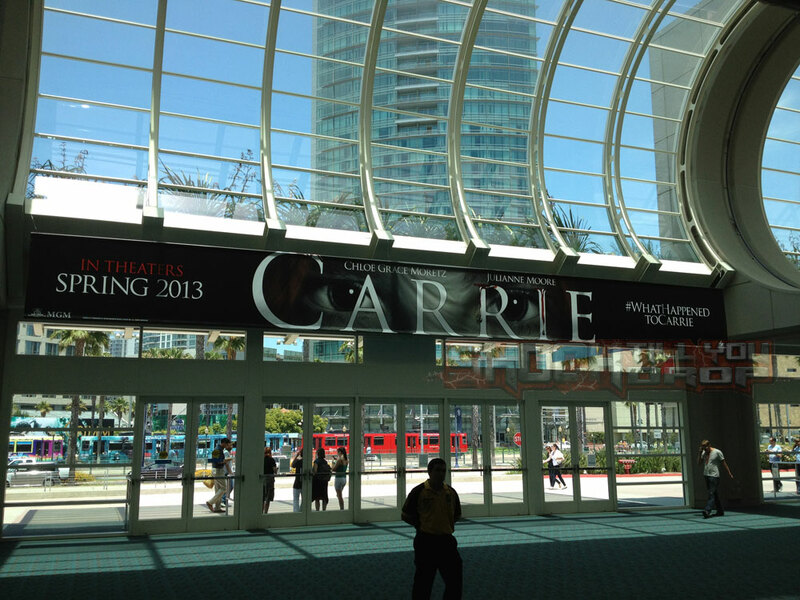 Carrie is slated to hit theaters on March 15, 2013. Click on the photo below for a larger version.